A marketing plan designed to expand San Diego’s global appeal as a tourism destination was forwarded Thursday from the Economic Development and Intergovernmental Relations Committee to the City Council. The San Diego Tourism Marketing District‘s new milestone report summarizes recent district efforts and proposes a fiscal year 2019 budget of $44.7 million to fund additional marketing and sales programs. District officials also are requesting a $5 million supplemental request for separate city marketing initiatives. According to the district, San Diego lacks “buzz-worthy new reasons” to see the city. Though visits and hotel stays are expected to grow a “modest” 1.1 and 2 percent, respectively, during 2018 and 2019, the report projects that the city’s hotel room supply, which is expected to grow an above-average 3 percent this year, will exceed tourism demand. It also states the impact of President Donald Trump’s “words and policy” on inbound international travel remains uncertain despite strong global economic forecasts. International visitors declined slightly in 2016, according to the report, as did international U.S. airport arrivals through April 2017. The district’s report proposes stronger targeting of the visitors from the Los Angeles area. 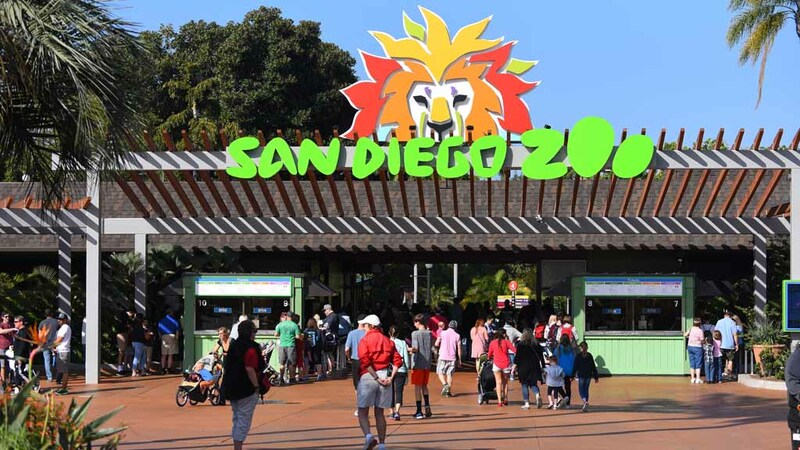 Tourists from north of San Diego have been visiting less often in recent years, possibly due to stagnant attractions, competing destinations and increased traffic congestion, Tourism Marketing District Executive Director Brian Hughes said. The district seeks to increase promotion of Balboa Park as a family, cultural and outdoor destination. It also proposes capturing a larger percent of the Chinese leisure travel market and, in the process, securing a regular direct flight from China. By far the largest recipient of district money in the proposed fiscal year 2019 budget is the San Diego Tourism Authority, a nonprofit with more than 1,000 members in the lodging, dining, arts, attractions, shopping and transportation industries. The authority receives $36.6 million in the proposed budget. Additional money is mostly distributed to organizations hosting athletic competitions. Committee member David Alvarez requested the district consider diversifying its beneficiary events; he mentioned the Chicano Park Day Celebration and San Diego Pride Festival, which received district funding several years ago. “I think we might be missing some opportunities,” Alvarez said. The district is funded by a tourism marketing assessment on city hotels with 70 or more rooms. In return, dollars are used to fund programs and services intended to increase hotel stays and bolster the region’s economy. From July 2013 to June 2017 the district awarded 25 marketing contracts worth $107.5 million; an additional $34.4 million has been allocated during the current fiscal year. Initiatives supported the generation of almost $2.8 billion in hotel revenue through fiscal year 2017, according to a city report.